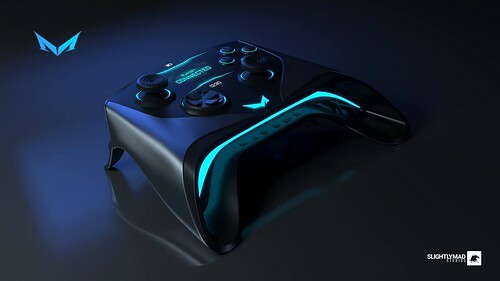 Slightly Mad Studios CEO and founder Ian Bell has shared some early concept renders of what could become the controller for the earlier announced SMS Mad Box Console. While this might not be strictly sim racing related news, I decided to loosely follow up on the developments of the SMS console concept. After all, Slightly Mad Studios is still one of the major sim racing title developers. So if this project becomes a reality, there is a good chance we will see a new Project CARS title released for it. 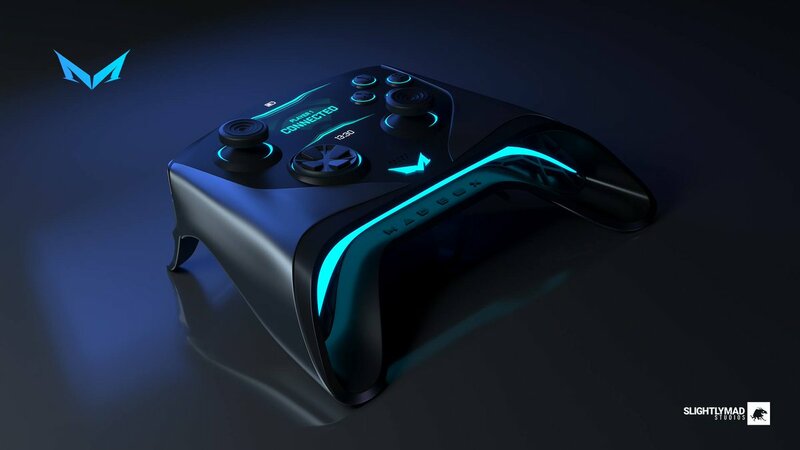 Just after New Year, Ian Bell, surprised us all with a series of Tweets, revealing that SMS is planning to develop a next-generation gaming console named “Mad Box” that will support VR and 4K gaming. In Ian’s own words, the Mad Box will be “the most powerful console ever built”. A day later, Ian posted some early concept images showing us how the Mad Box might eventually look, and asked the community to share their ideas and design recommendations. Somewhat later, Ian shared some new render images showing us the finalized concept of what could become the Slightly Mad Studios Mad Box Media and Gaming Console. It’s different, to say the least. 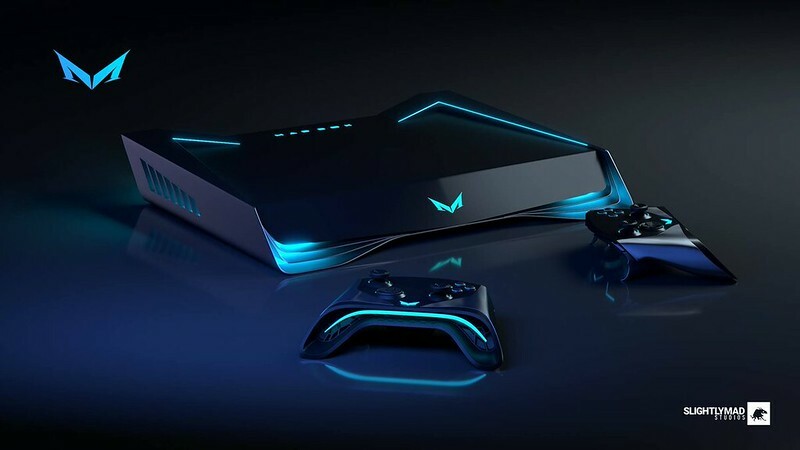 This console looks to come straight out of the Bat Mobile, and in all fairness, I like it. 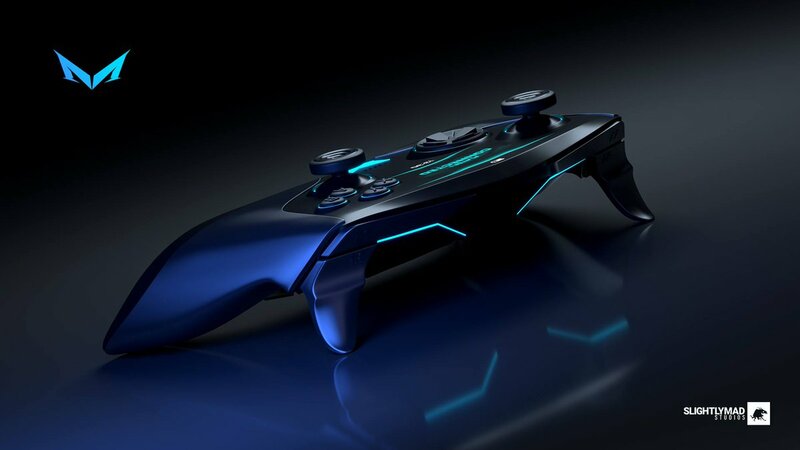 Today the story continues, as Ian posted a series of impressive early concept renders picturing the current Mad Box Controller design. It is safe to say that the console’s potential controller, look just as futuristic as the Console base unit. 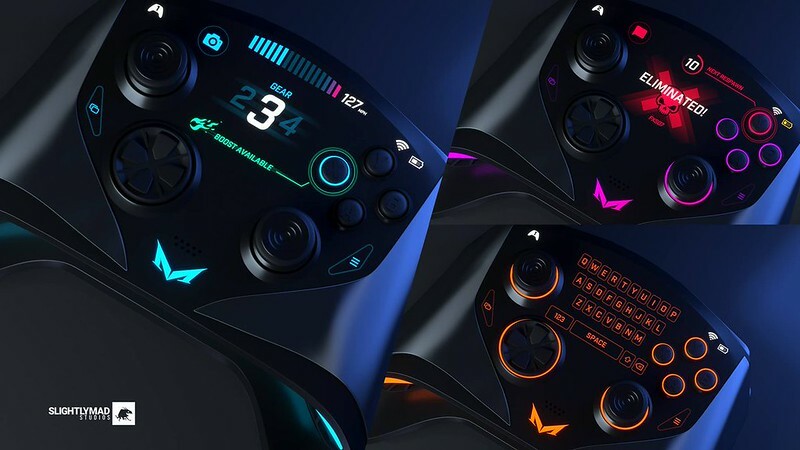 The most noticeable features of the wireless controller are the RGB lighting accents, battery life indicator, and a center multi-purpose touchscreen. 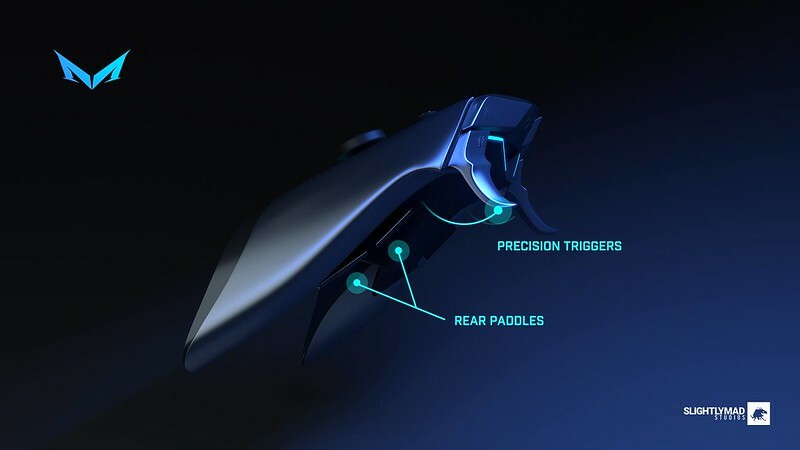 The fact that such a screen could also be used as a keypad, would make sense, as typing is still a pain in the **** when using gaming consoles. In previous communications, Ian Bell stated that the Mad Box will become available in “around three years time”. Keep in mind that the images show us the concept and may not end up becoming the final product. Last but not least, Ian continued Tweeting some bold ideas regarding online support using the Mad Box. My thinking is a cheap sub that you can earn back, plus MUCH more… Potentially.